AdvantEdge is more than an address you put on your business cards. We provide the tools you need to be successful and a staff that knows how to help you get things done. As a client, we aim to provide you with all the necessary business support services you need to execute your workday effectively, efficiently and successfully. Our highly-skilled and experienced team of Center Managers and Client Services Professionals will make sure you never have to worry about the small details that can distract you, like lost office keys, incoming messages, courier deliveries, or last-minute meetings that require time-intensive planning. As a small business ourselves, we know what you need to be successful and our on-site, skilled staff is available to assist you whenever you need it. From taking care of presentation materials to designing business cards and providing IT support at a moment’s notice, our staff works hand-in-hand with your business to help you stay as efficient and productive as possible. Our flexible staff ensures that projects are handled professionally and in a timely manner so you can avoid the extra expense of hiring a specialized staff. Working in a shared workspace, our clients save money by sharing conference rooms, kitchens, and professional office equipment with other companies. As a client at AdvantEdge Workspaces you and your staff have unlimited access to state-of-the-art presentation and office equipment that helps you get the job done without having to buy items you only use occasionally. From conference-calling and multimedia presentation equipment to high-speed copiers/scanners, our equipment is ready to use the moment you need it, and you don't have to pay full price. 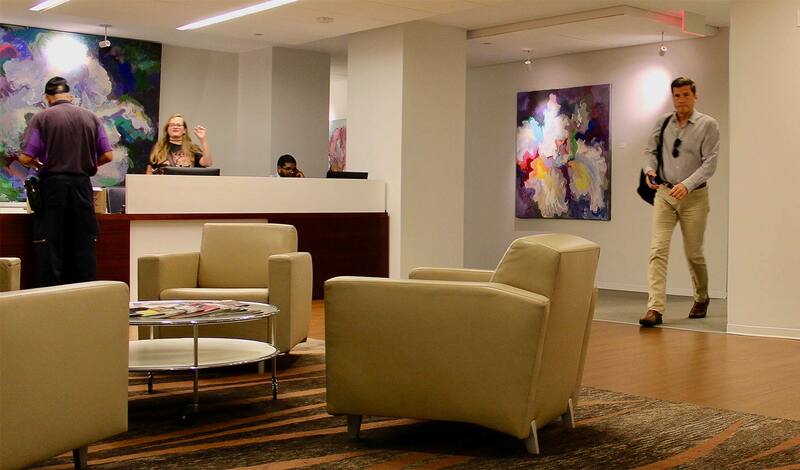 With workspaces in Class-A buildings featuring premium locations and services, our Washington DC office centers combine modern design and top-tier amenities to help your business succeed. Sharing the cost and management of these items with other clients means you save both money and time.